Greetings from Sedona, Arizona, where our temps are starting to warm up. How’s the double whammy of Mercury being retrograde (since 5/18) AND combust the Sun (since 5/21) been working out for everyone? I’ve heard no end of technology and computer snafu stories lately…and been through a few myself! May I share a personal story to illustrate the type of GOOD things that can come from a retrograde period? About a week ago I noticed that a pool of water was forming out in my back patio, under the hammock, bubbling up between the square brick tiles. You can imagine that I feared the worst, in terms of some major broken pipe, etc. Long story short, we have a NEW condo grounds-keeping service. I got them (nicer than the previous people) to come in, pull up those tiles and see what was going on with the irrigation pipes. It’s such a GOOD thing that they did this! They discovered that the main condo irrigation water tubes were not even connected to the little ones that are supposed to be watering all of my plants out there; it was clear that they had NEVER been connected. WOW. So if this “seeming disaster” of the pooling water had not come up, I would have never discovered this problem. My plants were just getting no water at all for the past year, except for when I hand-watered, and of course our Summer monsoon season. They fixed it and it didn’t cost me a dime, which was a huge relief. So keep your eyes open for something that needs to be fixed from a past situation that was never done the right way in the first place. This could be a golden opportunity for a fix-it job, including in your interpersonal communication. CANCER Rising or Moon sign folks should be feeling all warm and fuzzy now that benefic VENUS moved into their sign (as of 5/30), joining the other great benefic JUPITER which has been in Cancer since 6/18/14 and will remain there until 7/13/15. Jupiter is in exalted dignity in this water sign, so cancerians should be starting the Summer season in a party mood. 6/07/15 – MERCURY becomes no longer combust the Sun, bringing much relief to those ruled by this planet, i.e. those with Virgo or Gemini Ascendants or Moon signs. Your tempers will no longer be on such a quick trigger timer. (Although for the Virgos, you will still have malefic north node of the Moon in your sign for some time to come, which can make you more moody and unpredictable than you normally are). 6/11/15 – More good news for the Mercury folks! And for all the rest of us in terms of our communications and communication equipment. MERCURY finally gets out of retrograde motion and goes direct. There will be a greater feeling of progress for you now. 6/15/15 – The SUN moves into dual air sign Gemini. Later that same day….fiery MARS moves there as well! This means that for a few days, Mars will be completely combust the Sun, causing some havoc for those with Gemini Rising or Moon signs, as well as the people ruled by Mars, Scorpio and Aries Rising and Moon signs. Easy does it, if you can remember this sage advice. Patience will be in short supply for all of the above, so gangway if you are living with a Gemini, Aries or Scorpio! This placement in Scorpio’s 8th house makes it even more challenging for those with this fixed water sign Rising or Moon sign. The 8th house deals with vulnerability, transformation, battles and disunion, life and death. Mars rules their charts, plus Mars himself represents accidents. Slow and steady wins the race, Scorpio. Please remember this advice when we get to this point in time. Amazingly, those are all of the significant planet changes to report on for June. Since the Moon changes every 2.5 days, that would be too much to report on in my monthly blog. To understand how these planetary shifts affect your own life in 2015, please call me to schedule your personal reading. All the best, from the Sunshine Corner, here in Sedona, AZ. Tel. No. 928-284-4060. Thank you for any referrals you may send me. I offer many services such as: natal chart readings, yearly updates, couples compatibility or astrocartography (location) readings. If you would like to book an appointment for yourself, or as a gift for a family member or dear one, please call me, and we can schedule a 90 minutes, taped session. 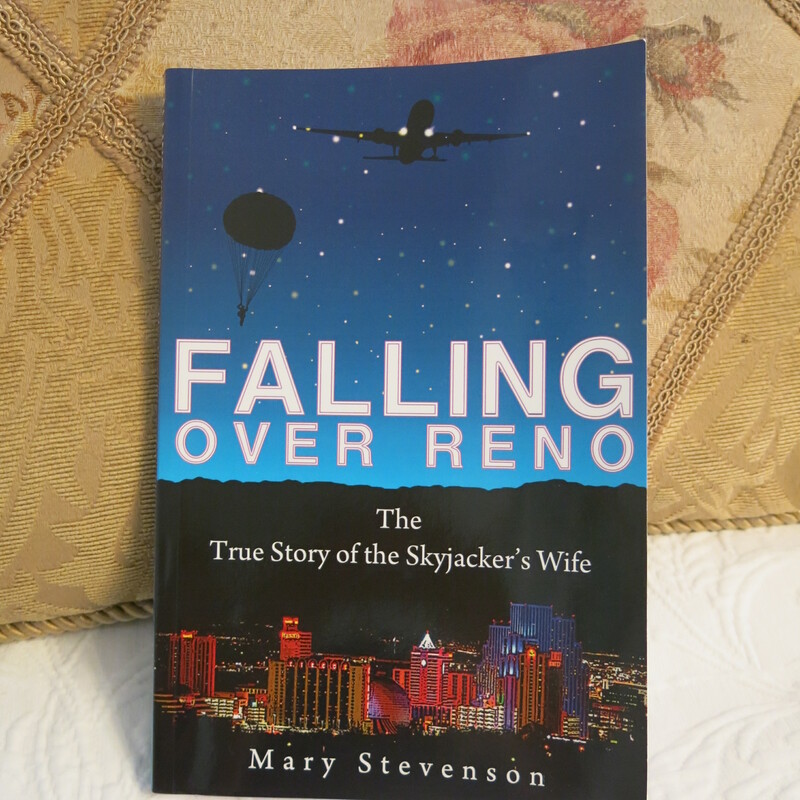 Thank you, Mary Stevenson, Vedic Astrologer, healingevents@yahoo.com – please remember to check out my book: Falling Over Reno: The True Story of the Skyjacker’s Wife. 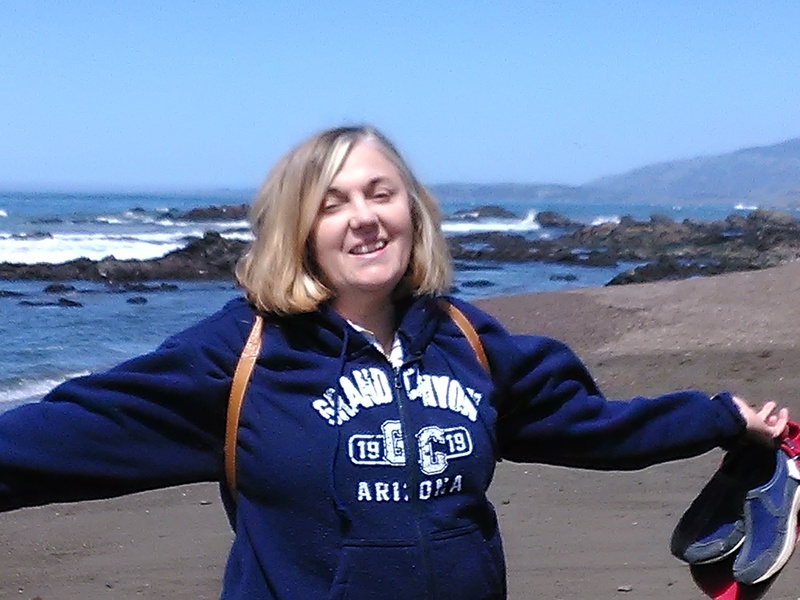 http://www.marystevensonauthor.com – I will be adding another blog post to my author website soon. First of all, I’d like to share an example of how the planets’ influence can work in our lives, even in small and practical ways. As you know, I try and get my blog written and sent out the very first of each month. Well….here it is mid-April, and I’m just getting a chance to get to it! For various reasons including travel, my time has just been totally absorbed with other things. I’d think about my blog and want very much to get to it, but there were always “hindrances.” Considering that the Sun rules my 2nd house of communication, and that its been transiting with malefic Ketu – which stands for hindrance and degradation! – from mid-March until just yesterday, now we see the explanation for this delay. Finally, with Sun now in Aries, I can write. So that’s my planet story and I’m sticking to it. LOL. 4/04/15 – much ado was made about the “Blood Moon” lunar eclipse on this date. It was visible in North America so those of us living here would be affected by it. Some Jyotish pandits feel the effects last from 2 weeks before, until 2 weeks after, an eclipse. Some extend that period to be a month before, up to a month after. This eclipse occurred in the practical earth sign of Virgo, so those with Virgo Ascendants or Moon signs would have felt it the most. Rahu, the malefic north node of the moon which caused this eclipse, has been crossing Virgo since 7/13/14 anyway, causing a range of upheavals, transformation and unexpected events. We have to remember that eclipses are not auspicious events, in the Vedic Astrology system. 4/08/15 – Benefic Jupiter got out of retrograde motion and went Direct again! This very positive planet has been crossing the sign of Cancer, where it is exalted and thus most powerful since 6/18/14 and it will remain there until 7/13/15. When a benefic planet is retrograde, it makes it even more powerful, yet retrograde periods can still produce a period where things seem to be “going backwards.” Now Jupiter can happily march forward bringing good influences to many, and especially generous benefits to those of us with Cancer Rising or Moon signs. 4/09/15 – Mars went combust the Sun. When a planet is traveling too close to this fiery luminary, its qualities get “burnt” a bit. Aries and Scorpio are ruled by Mars so they are the ones who need to watch out the most for feelings of impatience, irritability or anger during this time. At least Mars is in Aries, its own sign, so it feels powerful now. 4/11/15 – Mercury entered the fire sign Aries, joining Mars there. It was a relief for Mercury and those ruled by it (Virgo and Gemini) to get out of Pisces, its sign of debilitation, and of course, to get away from tricky Ketu. It is especially well-placed for the Geminis, in their 11th house of gain and income. For the Virgos among us, there will be some vulnerability or uncomfortable “changes” since Aries represents their 8th house. It will move into Taurus later this month, on 4/26. 4/14/15 – The SUN entered its sign of Exaltation, Aries. Now we have a planet pile-up there, since Mars and Mercury are already in this fire sign. Those ruled by the Sun (Leos) will feel more active and have greater success now. Each year there is a 2.5 day period in which both the Sun and Moon are in their signs of Exaltation. There is one day designated as Akahaya Tritiya, “The Day of Lasting Achievement”, which I understand is 4/20 here in the USA this year (in India it will already be the next day 4/21). It’s a great time to begin something new. 4/22/15 – Mercury gets out of combustion with the Sun, so this is a relief for the Geminis and Virgos, and helps communication in general become more civil, polite and tactful. 4/26/15 – Mercury enters Taurus. This connects Virgos with their 9th house of good fortune, so it’s a positive change for them. For the Geminis, this is their 12th house of isolation, loss and expenditure, so the best use of the time is to go inward and enjoy meditation, while watching your spending! July 1, 2014 – Mercury Goes Direct! July 1st – we are again free of the Mercury Retrograde influence, which so often gums up the works with interpersonal communications or even communication equipment. Those who are the happiest for this change will be those ruled by Mercury: anyone with a Virgo or Gemini Ascendant or Moon (and to a lesser degree, Sun) in the Vedic Astrology or Jyotish system. Reminder: if you have not had your Vedic chart read by me as yet, this will help you understand how your birth chart appears in our system, which is based upon the Sidereal Zodiac: just take every planet and the also the degree of your Ascendant back 23 degrees from whatever they are in your western astrology chart, and that will give you a good idea of what your chart looks like to me, so that my Blog posts can be of use to you. July 9th – benefic Jupiter, which has so recently entered its sign of Exaltation, Cancer, where we will enjoy its strength to deliver so much good for a little over one year, on this date will go “combust the Sun”. This means traveling too close to the Sun. Those with Sagittarius or Pisces Rising or Moon signs, may feel a little “hot under the collar” or have some Pitta-aggravation during this period, so try and watch your tempers as there will be a tendency to get annoyed over trivial matters. This period lasts until August 8th. JULY 13th – the day we’ve all been waiting for!! Librans – finally some relief for you! I am sure you remember my previous Blog report about the significance of this day. Rahu backs up into Virgo, while Mars will move forward and join Saturn in Libra, and it stays there until 9/04/2014. Just a reminder, Mars and Saturn don’t like each other! So I am very sympathetic, Librans, but there is still some intense energy for you to deal with until Mars moves away from its enemy Saturn. Still it is an improvement over having had RAHU (north node of the Moon) there for the past 18 months anyway! July 13th – Venus also moves this day, into the air sign of Gemini, where it will be in a friend’s sign. This represents positive house placements for both Taurus and Libra Rising signs and Moon signs, and Venus feels rather playful in this sign. July 16th – Sun moves into Cancer, a friend’s sign. This represents the 12th house for Leos who are ruled by the Sun, so they could be feeling inward in a spiritual way, or have a chance for some foreign travel in the next 30 days, but also may feel some isolation. The Sun will be traveling here with its great friend, benefic Jupiter, which is certainly all positive for those with Cancer Ascendants and Moon sign folks — Sun brings 2nd house energy (wealth, family, speech) to the Cancerians of the zodiac. July 20th – SATURN goes direct! It has been retrograde for quite some time, so this is a nice shift. Those ruled by Saturn are Capricorns and Aquarians. They will get a sense of “progress” now and forward motion, after perhaps treading water for so many months, since March 2, 2014. July 28th – Mercury enters water sign Cancer, joining Jupiter and Sun there. So the planets will be “having a party” in this compassionate, nurturing Sign of Summer! May you enjoy the Summer, as the planets shift. Wishing you many blessings, from the Sunshine Corner, now here in Sedona, AZ. New Tel. No. 928-284-4060. Thank you for any referrals you may send me for a personal reading, yearly reading, couples compatibility reading or astrocartography reading, or if you would like to book an appointment for yourself, or as a gift for a family member of dear one. Please just call on me, and we can schedule a 90 minutes, taped session. Mary Stevenson, Vedic Astrologer, healingevents@yahoo.com. Mercury goes Retrograde June 7th; JUPITER becomes Exalted June 18! The Sunshine Corner has moved to SEDONA, AZ! This is a very beautiful, and high energy town, and I love being here. As always, please remember that I am available for long distance readings, to serve your Vedic Astrology needs and questions. My new phone number is 928-284-4060. Do you want the good news first, or the bad news first? Well let’s get this discussion of MERCURY RETROGRADE out of the way first. 6/07/2014 at 4:53 Pacific time, Mercury will go into retrograde motion, and it will stay in this condition until 7/01/2014 at 5:46 a.m. PDT. One most helpful factor is that for this entire period, Mercury will be in the sign of GEMINI, which is one of its own signs. This should help keep the intellect still lively and sharp, so perhaps this will not be such an intense Mercury retrograde as some others have been. Thus, that is a bit of good news for Virgos and Geminis, which are both ruled by Mercury. 6/11 – 6/28/2014 – Mercury will also be combust the Sun (traveling too close to the fiery orb for comfort), so we will still have to mindful of our ability to be tactful during this period, and careful to try and avoid miscommunications. 6/18/2014 – what an auspicious day! First, at 5:27 a.m. PDT, benefic planet Venus moves into its own sign Taurus where it will be strong and in high dignity there. Taureans benefit from this transit, which lasts until 7/13/2014, when it moves to Gemini at 8:41 a.m. PDT. Later that same day, at 8:12 p.m. PDT, benefic planet JUPITER enters its sign of Exaltation, the water sign Cancer, where it will remain for slightly over one year. This will be of great benefit to the Cancer Rising and Moon sign people, as Jupiter brings: good luck and good fortune, wisdom, happiness, good judgment, to name a few of its wonderful qualities. Who else will benefit? Scorpios – Jupiter will be crossing your 9th house which is the best house of the chart and represents good fortune itself! The 9th house also signifies higher education, father, spiritual teacher, dharma, remedies, pilgrimage, philosophy and religion. Enjoy this helpful transit. 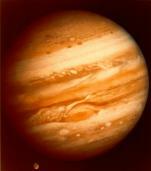 Pisces and Sagittarius are the two signs ruled by Jupiter. Pisces Rising and Moon sign folks will enjoy this 5th house transit, as it connects them to success, education, children and love affairs. For the “Sags” of the Vedic Zodiac, well… this is in fact your 8th house (the sign of Cancer) so there will be “changes”, due to this being your house of transformation, vulnerability, knowledge of past and future. You can expect your intuition to increase, but you’ll need to think on your feet when the inevitable changes roll into view. If you go with the flow, they can be positive and beneficial, in the long run. For other signs, please contact me for how you will be affected, as the list is too long to go through here. The SUN moves into Gemini for one month on 6/14/2014 at 10:31 p.m. PDT. This is a helpful place for Leos, the sign ruled by the Sun, as it is your house of income and gain. This transit will also energize the Geminis, but be careful of overheating. We will have BOTH Saturn and Jupiter exalted for some months, until Saturn finally moves into Scorpio on 11/02/2014. For this first month or so of Jupiter’s exaltation, the 3rd planet in high dignity is Venus, in her own sign. Thus the summer could shape up to have much positive energy and good times. We aren’t forgetting that RAHU is still traveling with Saturn until 7/13, and that same day when Rahu backs up into Virgo, Mars will move forward and join Saturn in Libra, and it stays there until 9/04/2014. Just a reminder, Mars and Saturn don’t like each other! So I am very sympathetic, Librans, but there is still some intense energy for you to deal with until Mars moves away from its enemy Saturn. Still an improvement over having had RAHU (north node of the Moon) there for the past 18 months anyway! Thank you for any referrals you may send me for a personal reading, yearly reading, couples compatibility reading or astrocartography reading,or if you would like to book an appointment for yourself, or as a gift for a family member of dear one. Please just call on me, and we can schedule a 90 minutes, taped session. From the Sunshine Corner, as ever, Mary Stevenson, Vedic Astrologer, 928-284-4060, healingevents@yahoo.com.